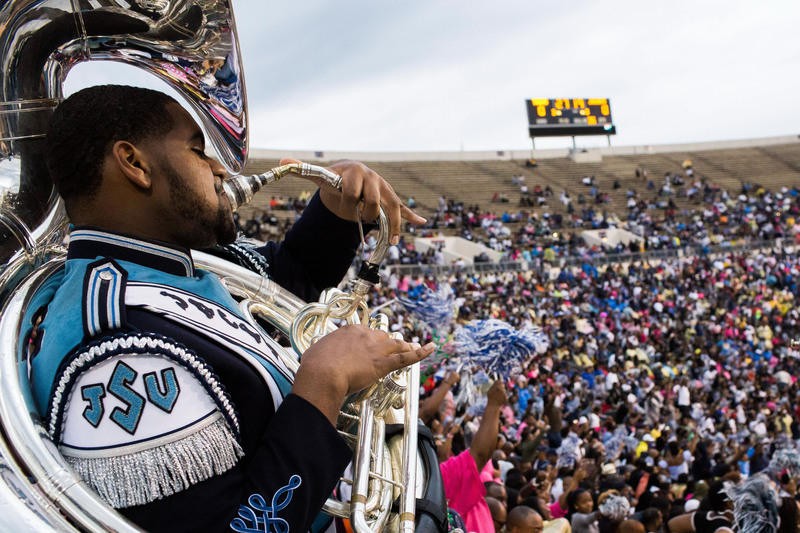 The 5th Quarter in the world of football games at historically black colleges and universities (HBCUs) takes place after the game, when the bands of the two opposing schools battle each other for bragging rights to the best musical performance. These displays of musical showmanship, from the choreographed routines to the song selection, require a lot of practice and work by every member of the team. 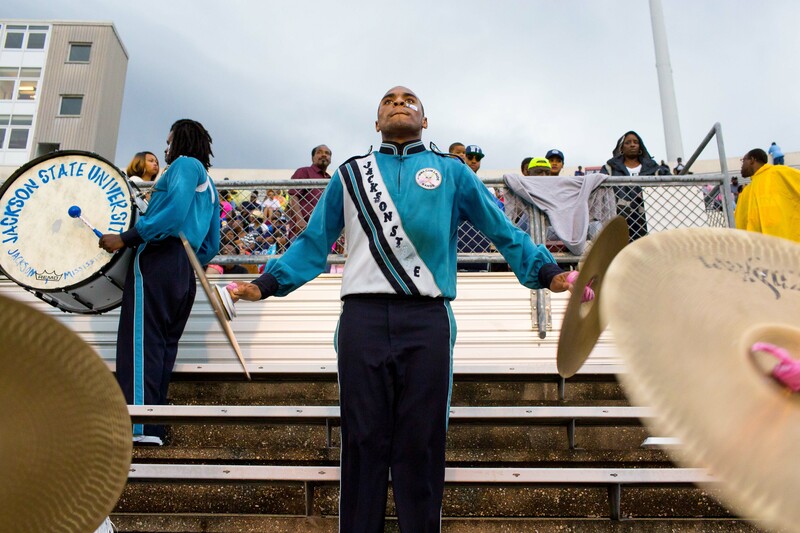 Join The Undefeated as we take you behind the scenes to show what goes into pulling off those amazing performances. 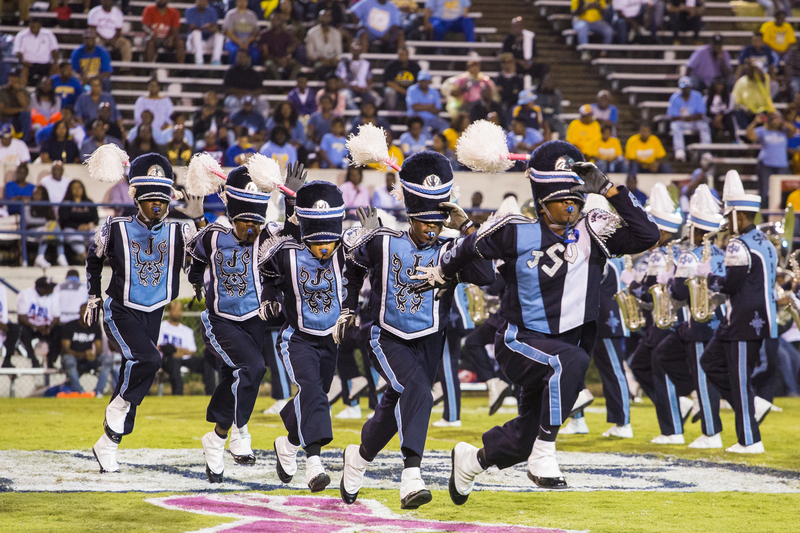 The Sonic Boom’s drum majors, The J-5, are led by lead drum major Abraham Duffie (left) and Tavares Stewart (right center). 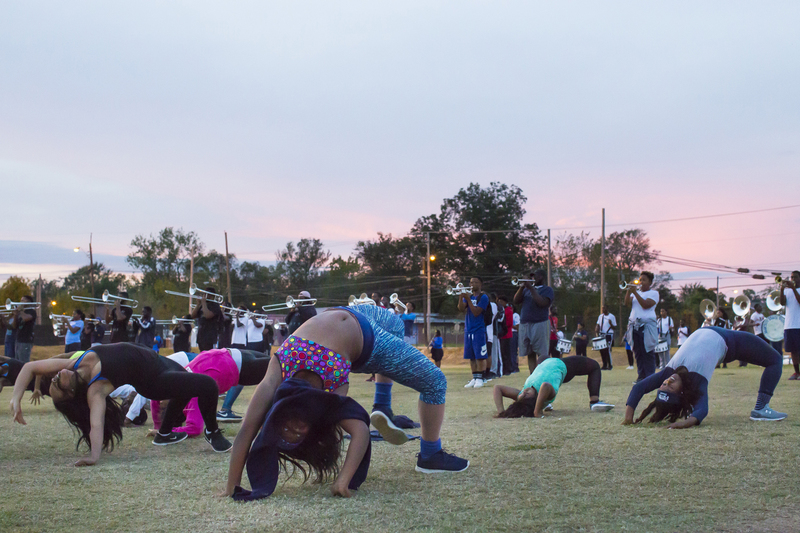 Junior Prancing J-Settes member O’necia Ford stretches into a backbend during an energetic routine Oct. 20. Sonic Boom members take to the field for an evening practice Oct. 20. 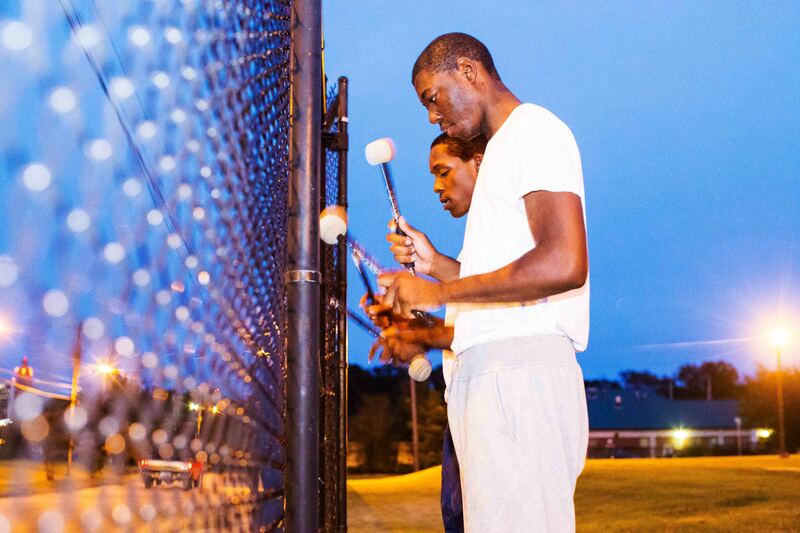 Freshman drummers Marvin Lanier (back) and Delvin Deener (front) practice syncing up on the fence during field practice Oct. 20. 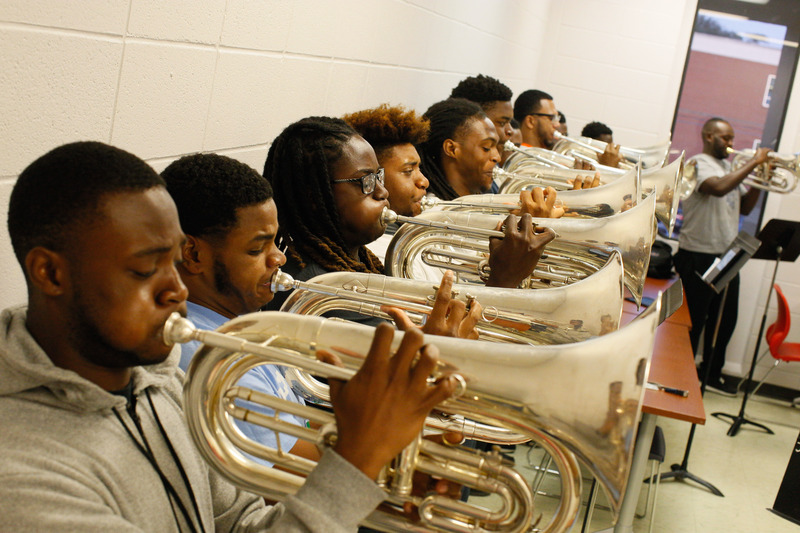 Baritone players line up during section practice Oct. 19. 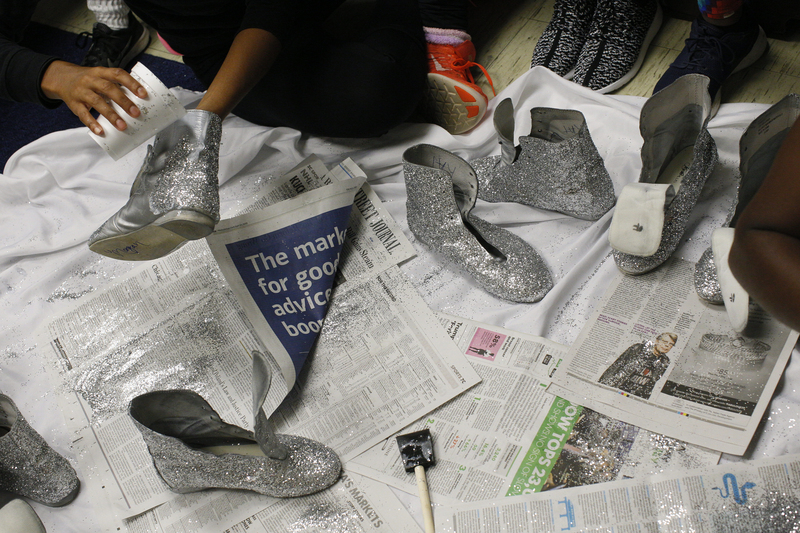 The Prancing J-Settes ready their wardrobe for the game on Oct. 19 with glitter and glue. 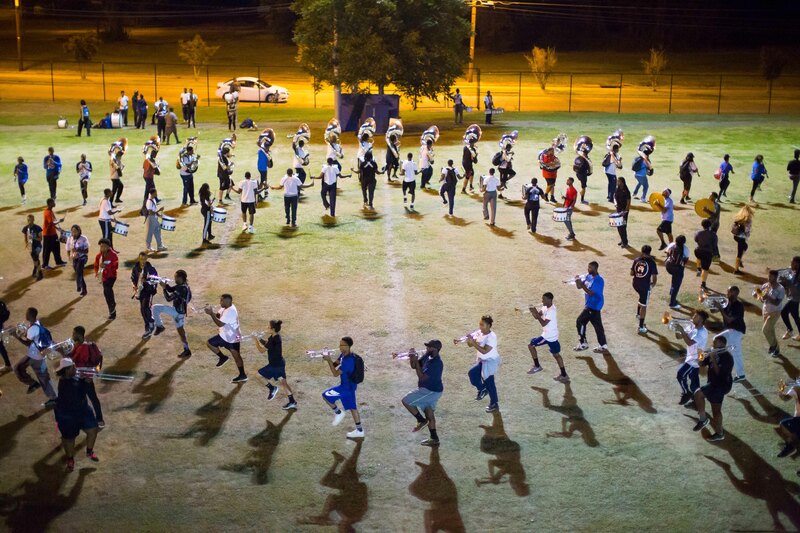 During group practice Oct. 19, Sonic band members practice choreographed movements. 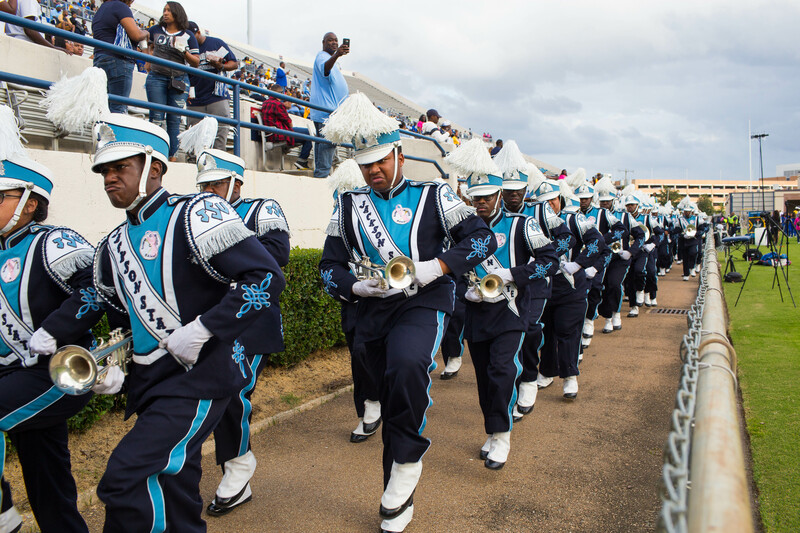 Sonic Boom band members sport scowls and frowns as they march past close rival Southern’s band in the Mississippi Veterans Memorial Stadium on Oct. 21. 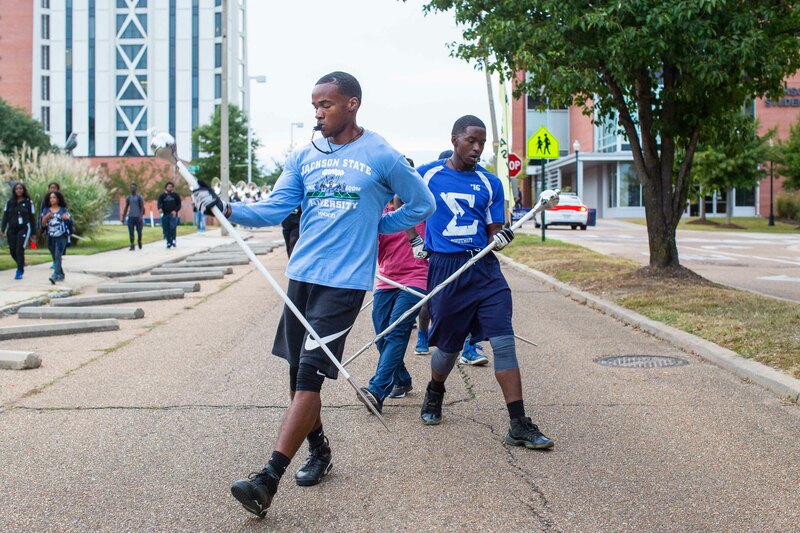 Tevin Jackson, a Jackson State sophomore, stays focused during the game Oct. 21. 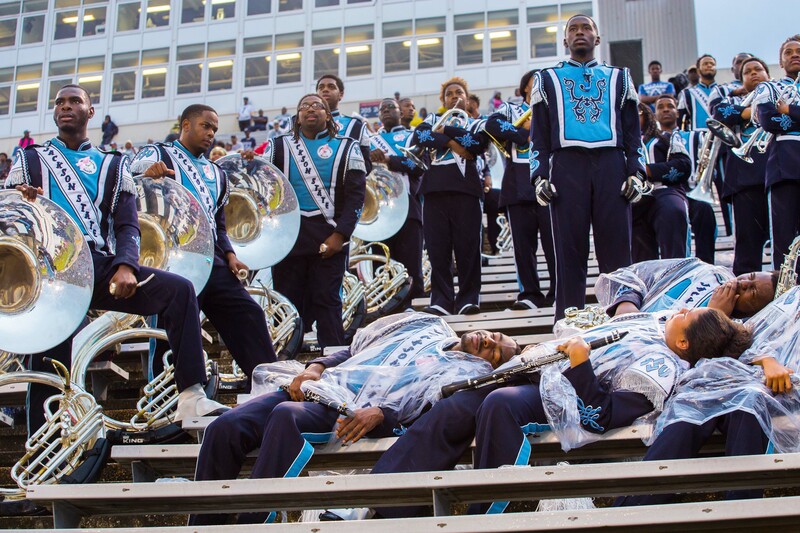 Sonic Boom band members show Southern’s band they aren’t impressed by pretending to nap during Zero Quarter, the pregame equivalent to 5th Quarter showdowns, on Oct. 21. Reidland Chambliss perspires during a warm and humid game day. 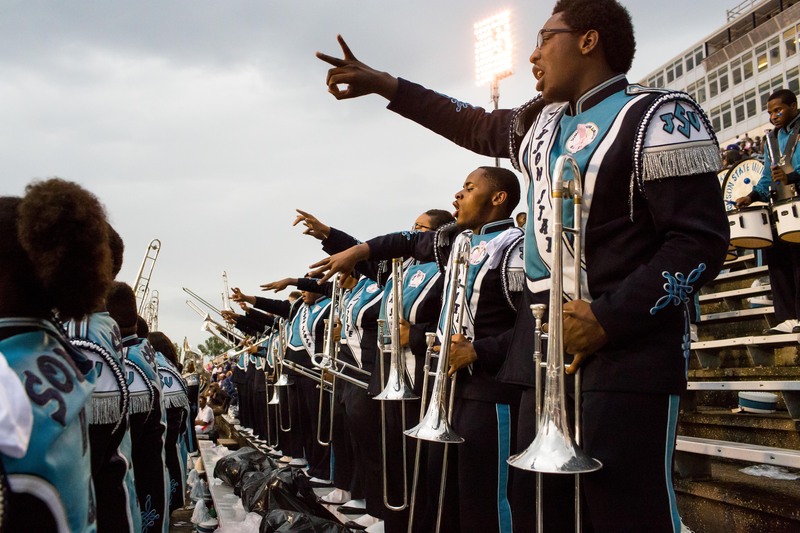 The showdowns that are the Zero and 5th quarters have the bands beckoning the other to perform. 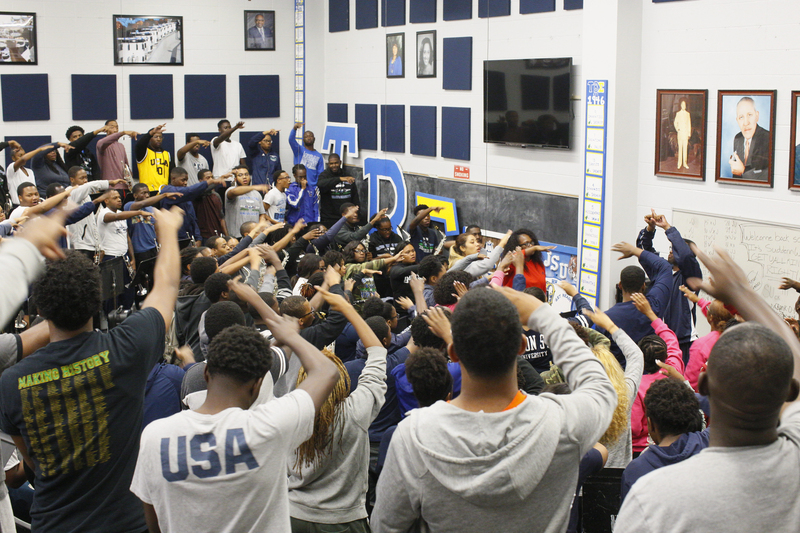 Players tell their opponents to “go home,” in unison. The Sonic Boom drum majors, the J-5, energetically take the field for the halftime show. 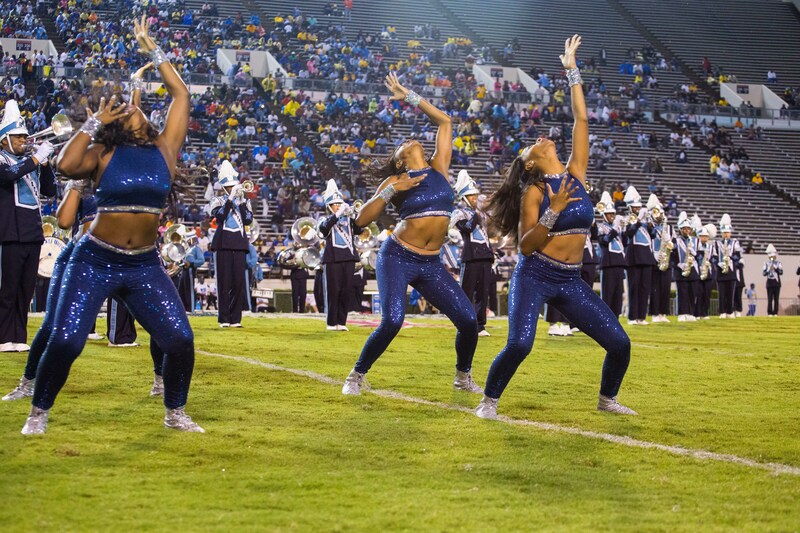 After a week of practice, the J-Settes take the field for the halftime show. 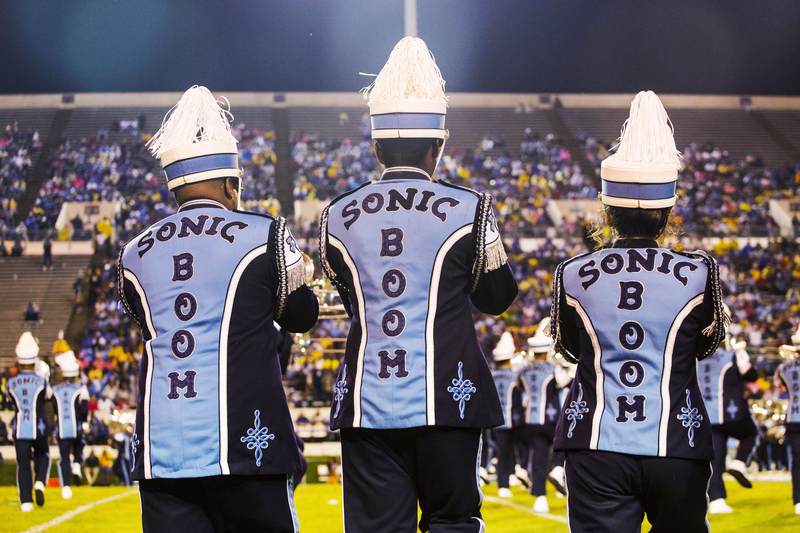 The Sonic Boom of the South takes the field during halftime Oct. 21.